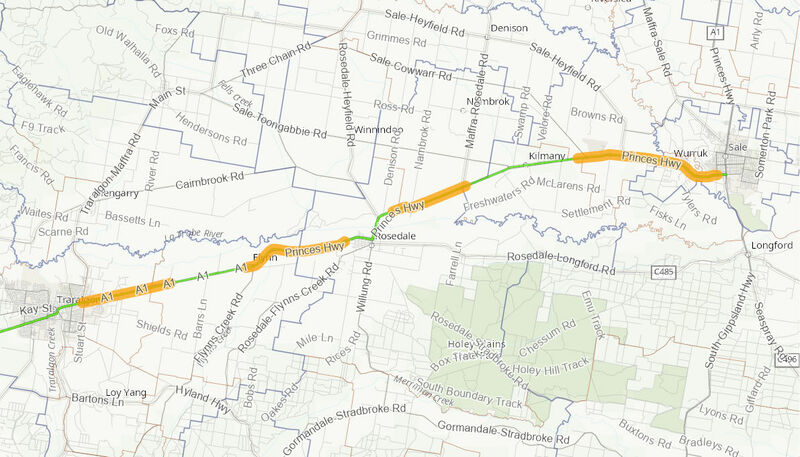 The project has increased capacity, reduced transit times and improved traffic flow and safety for the 7,900 to 17,300 vehicles that are estimated to use the Princes Highway between Traralgon and Sale each day. The estimated cost of the project was $260 million. The Australian Government contributed $210 million and the Victorian Government $50 million. Construction commenced on 3 February 2010 and was completed on 18 December 2018.